This week the Geek Cast crew open a nexus to the darkest pits of hell in order to conspire with demons! Unfortunately, the original take was so blasphemous that our own dear recording bot, Craig, was lost to the eternal hellscape, maddened and crazed. We initally had two of the most beautiful people of Archon Games on with us, but alas, the recording did not survive the fires. Thanks to Petras and Dianne for joining us, we love you guys and we’re glad to hear that the Lithuanian storm is making a full recovery. So anyway, here’s us talking about how much we love Archon and all their darkest rituals. Enjoy, and may you all find your own blasphemy in this beautiful day of ours. 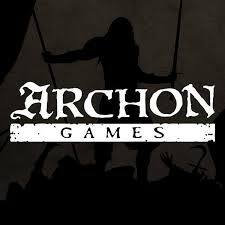 Get on over to Archon Games and check them out! Back their Kickstarter for Nexus Infernum here! Listen to some sexual metal here!